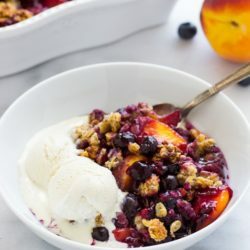 Blueberry Peach Oatmeal Crisp- serve with vanilla bean ice cream for a summer dessert that will knock everyone’s socks off! Can you guys believe we only have one month of summer left? I’m not ready for fall yet! That’s probably the hardest part of blogging for me. Preparing for what’s next. It will only be a matter of weeks before we start seeing pumpkin all over the place and just thinking about it kills me. I much rather live in the moment and savor every last bit of sweet juicy fruit and warm sunshine. 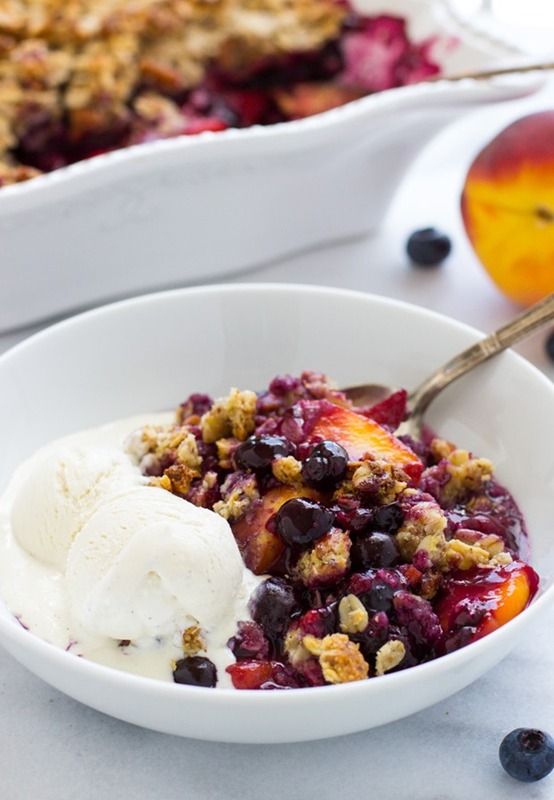 This blueberry peach crisp is the best possible way I can think of to cling-on to summer. With peaches at their prime right now, they’re practically begging to be devoured. I can’t resist picking one up without inhaling it’s intoxicating sweet scent. Just smelling them instantly makes my mouth water! I wanted to combine peaches with blueberries because I knew together they would make for crisp that looks just as good as it tastes. The dark hues of blue and purple mixed with bright yellows and hints of pink. There’s no denying that they’re a perfect match. The filling is as easy as tossing the two fruits together with a few tablespoons of honey (or coconut sugar, if preferred), a squeeze of fresh lemon juice and arrowroot powder (or cornstarch) to help the juices thicken as they cook. Then the topping is a mixture of rolled oats, almond flour, coconut oil, honey (or maple syrup/agave), chopped pecans, and shredded coconut with just enough lemon zest for a touch of brightness. As it bakes the oven the fruit begins to bubble, releasing all of it’s heavenly sweet juices beneath the topping. The oats, coconut and pecans become lightly toasted, giving it a slightly nutty flavor and a texture that’s similar to a freshly baked granola. Then once the pieces of the crispy topping soak up the warm juices and the cold vanilla bean ice cream begins to melt, it’s all downhill from there. There’s no turning back. Trust me, it’s amazing! I really hope you guys get a chance to try this one before summer’s over! Enjoy! Preheat the oven to 350°F then grease a 9 x 9” baking dish and set aside. Combine the peaches and the blueberries in a large bowl and pour in the honey (or coconut sugar/agave), lemon juice, and arrowroot. Toss until evenly coated then pour into the baking dish. In a separate large bowl, combine all of the ingredients for the topping and stir together. You should be able to press it together with your fingers. Spread the mixture on top of the filling, covering it on all sides. Bake in the oven for 30-35 minutes, or until the fruit begins to bubble and the topping is light golden brown. Allow to cool for 15 minutes then serve with vanilla ice cream and enjoy! I am soooo a live in the moment person when it comes to the seasons. I have to say it really annoys me to see people talking about the “crisp fall air” they are feeling and can’t wait for PSL’s! Summer still has a good month and a half left. Let’s please not wish it away! Plus, September is usually so hot here! Oh, I am not ready for it to be autumn – summer just got started I feel like! Keep the blueberries and peaches (and watermelon and strawberries) coming, and let’s hold off on the apples and pumpkins awhile. I love crumbles because they ARE so pretty! Messy, but perfect! And I have to say, I love your writing style. Let’s not even bring up the pumpkin talk just yet, Sarah. :) I still have my Hawaii trip to take before we call this summer a wrap! YUM central on this one. Looks delish! Well, I’m glad to see confirmation that we still have a month of summer left as I often feel the collective conscience propels to fall the moment August begins which is a shame. So much beauty and seasonal bounty to enjoy as it’s unfolding. With the boys starting school in less than two weeks (silly early), I have to hold on tighter than ever. Sarah, this crisp… not only is it gorgeous it is so thoughtfully put together ~ I love your choice of ingredients and the balance you achieve between tart and sweet. And don’t you love how peach and blueberry come together to create the most stunning magenta colored juice? Beautiful work. Please don’t hate me for being one of those people who’s already wishing for fall :oops: I just love how cozy and mild it is… and if I could live in a place where it was fall forever, I’d move there in the blink of an eye. I’m thinking I could tolerate summer if I had things like this to eat, though :P Holy.yum. I don’t hate you but I do love summer. :) I think you would love Northern California. It feels like fall almost all year here! 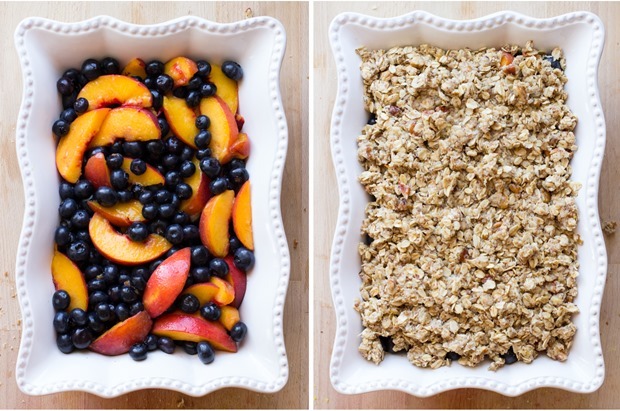 Love the combination of blueberries and peaches! The colors are so pretty and your photos are gorgeous. I agree about the peaches – they definitely have a heavenly smell that’s irresistible . Thank you so much, Geraldine! No doubt, when Aug 1 hits, Fall is already rolling in. It’s a total marketing strategy, eh? Spend, spend, spend…. hurry hurry.. just like as soon as Sept. rolls in, there’s candy on every shelf in the grocery store… good grief. Don’t get me wrong, I love Fall… just want to enjoy the last bit of Summer without any rush. I’ll take August nice and slow thank you very much, and with this crisp packed with the Summer’s freshest fruit, why not? 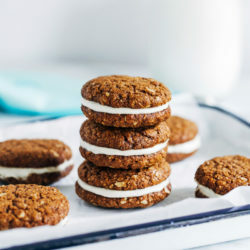 Love the ingredients, especially how you used coconut oil and pecans in the topping. Then you had to tease us a little more with the ice cream! Good grief, face plant in the screen! Fabulous, Sarah! These dreamiest pictures EVER. So bright, so crisp, want to face-plant into a giant bowl with coconut milk ice cream. Next level stuff!!! Oh my gosh, I need this in my life! This is the best-looking dessert I’ve seen all week. 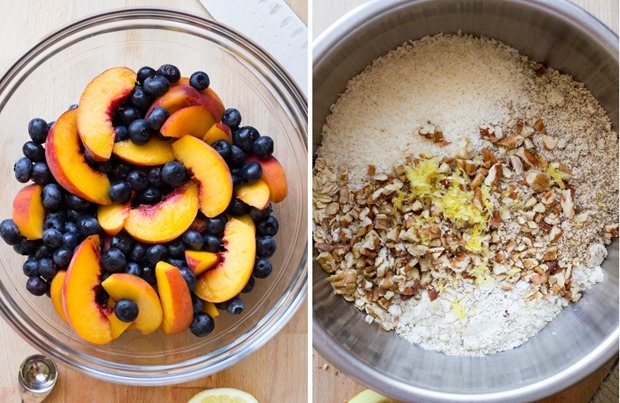 Blueberries and peaches go so well together. I don’t even want to think about fall things, either. I’m hanging on to summer as long as I can! There is really nothing like a crisp with ice cream in the summer is there??? Beautiful! This looks delicious! I love making fruit crisps like this. And I’m with you, I like reveling in the moment with in-season produce! Shhhh summer is forever! At the same time, I am definitely getting excited for fall, especially since I”m moving to New England for college, and it’s so gorgeous :) But put a hold on the pumpkin recipes, I’m with you, I’m alllll about peaches are fresh berries now! It’s been some of the few warm and sunny weeks in SF, so I feel like summer has just started!! This looks fantastic. 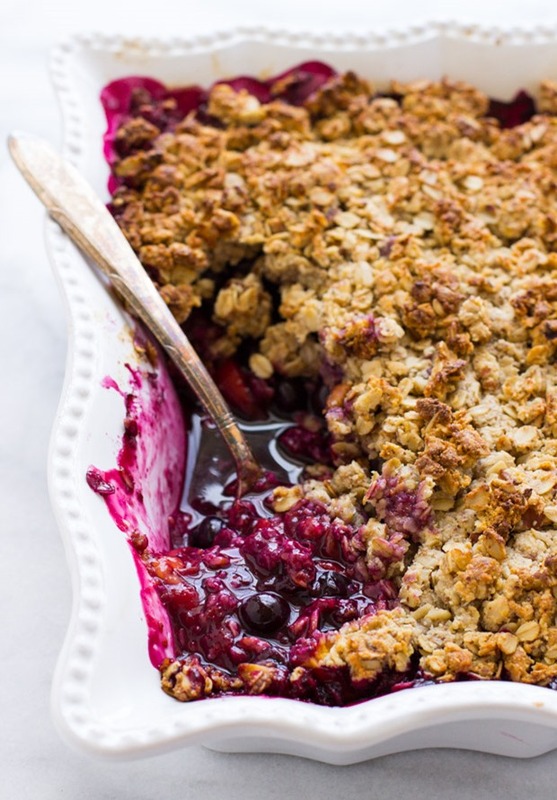 I had a blackberry crisp at a friend’s place the other week and it made me realize how that was my first crisp of the summer and how that was such a travesty!! This is exactly my kind of favorite summer dessert! 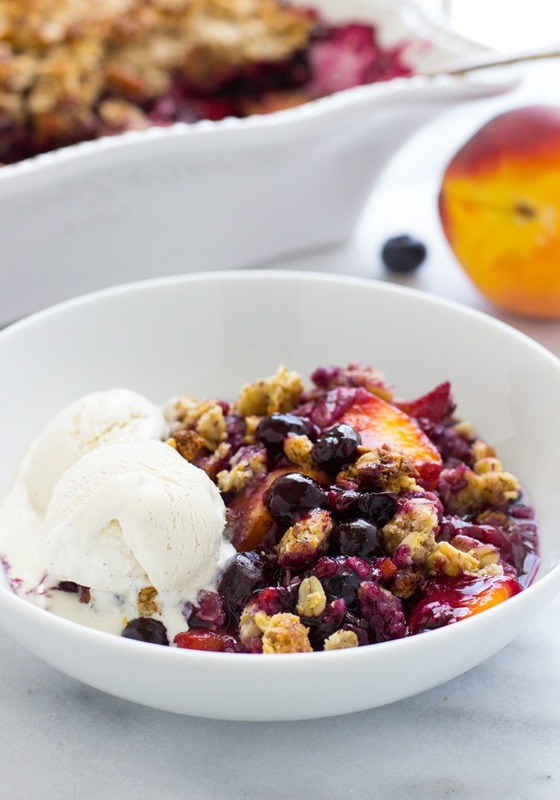 Love that you combined the peaches with the blueberries! haha oh gosh, while I am ready for cooler weather, I’m not ready for summer to be over either! And I hate that I’m already thinking about fall foods for the blog … so not ready! No no no! 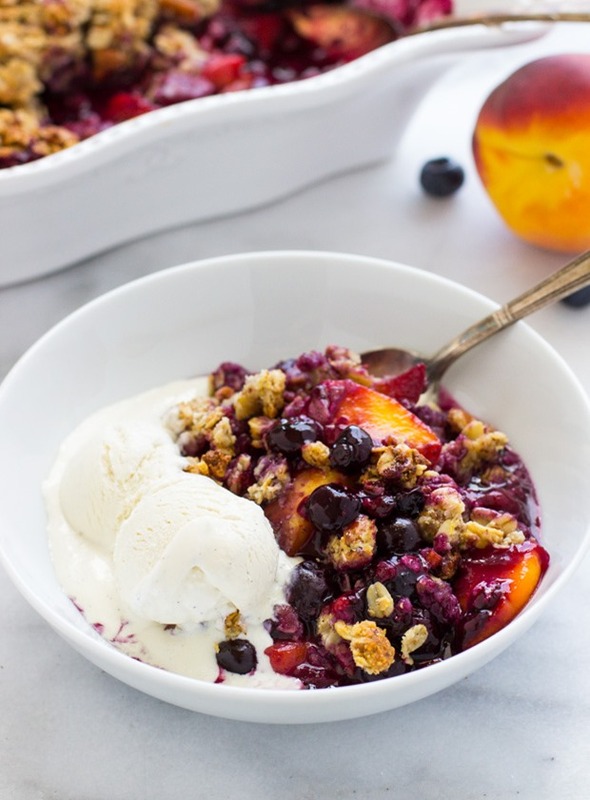 Peach crisp is one of my ultimate favorite summer desserts! I love how you’ve added blueberries to the mix, too – they are such a gorgeous color when they are baked. And I know what you mean about summer going by too quickly…I still cannot believe it is August. I am definitely not ready for pumpkin overload yet! One month left of Summer for you is one month left of Winter for me… looking forward to the next season rolling around! This oatmeal crisp looks super delicious.. I just wish it was peach time here in Australia. Sarah, this is probably the most beautiful crip oatmeal I’ve ever seen on a blog before. I really need this in my life!! 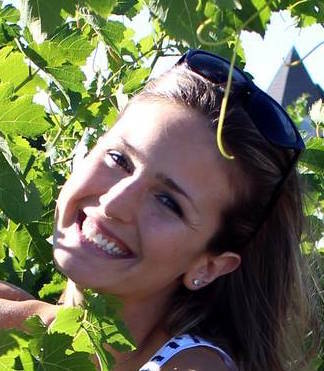 Beautiful, Sarah! I know what you mean, I feel like I’m never really prepared for “what’s next”… I’m always forcing myself to look ahead even into next week! 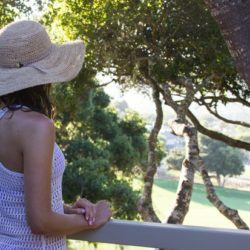 But now my kids are back in school, my bootcamp classes begin in a week, and my blogging changes again now that I am back in Philippines after having spent the summer in the US. Thanks for a fab recipe and gorgeous pix!! 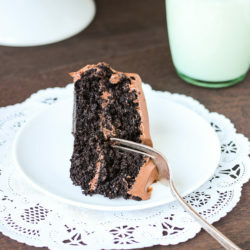 love how easy and delicious this is! perfect summer treat with some serious coziness. Hi! 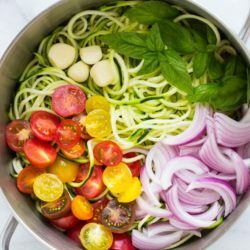 This looks gorgeous and I really want to make it but I do not have almond meal — what could I use in its place? If you have almonds you can grind them into a flour with a food processor or a blender. 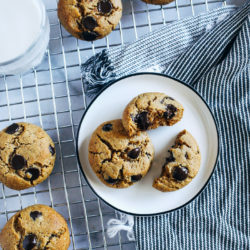 You might also be able to substitute oat flour but you will need to use more oil, maybe a few tablespoons. I can’t guarantee it will turn out the same though. Made this last night and its amazing! I think next time I’m gonna add more peaches, cause the blueberries kinda overshadowed them. But I’ll definitely be making this again! This looks amazing! I just bought fresh peaches and blueberries. However, I live in a very rural area and there is no almond meal available locally. Do you have suggestions for something I could use instead? Hi Jessica! If you have a food processor you can grind almonds into almond meal yourself. It’s really easy, you just have to be careful to stop once a fine powder forms so that it doesn’t turn into almond butter! I’ve got this baking in the oven as we speak, can’t wait to eat it! First of all I love your recipe.., it was delicious and it’s now my go to cobbler. I have a question on the nutritional facts posted under the recipe. Where did you get it from? I use myfitnesspal and when added your recipe and it’s calculating 452 calories per serving. I doubled check all the ingredients and amounts and it all matches. So I am baffled that the nutritional facts here is saying 294 per serving. Can you shed some light, I’d be so grateful. I would hate loosing this as part of my go to dessert. At 452 calories it’s killing my daily caloric intake during the week I make it. 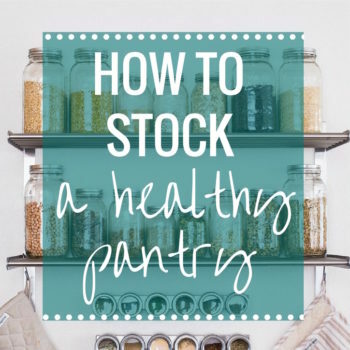 It’s not unusual for the information to vary depending on what specific ingredients/brands you are using and what calculator you use, although there shouldn’t be that big of a difference. I was hesitant to start including nutritional information in my recipes because of this reason. But keep in mind these are whole, nutritious foods in this recipe. You are getting a lot of important vitamins and minerals that you wouldn’t get from something that’s 100 calories and made with white sugar and flour. That said, the nuts are the biggest contributor to overall calories so you can always try using less nuts or almond meal to make it lighter. I hope that helps! 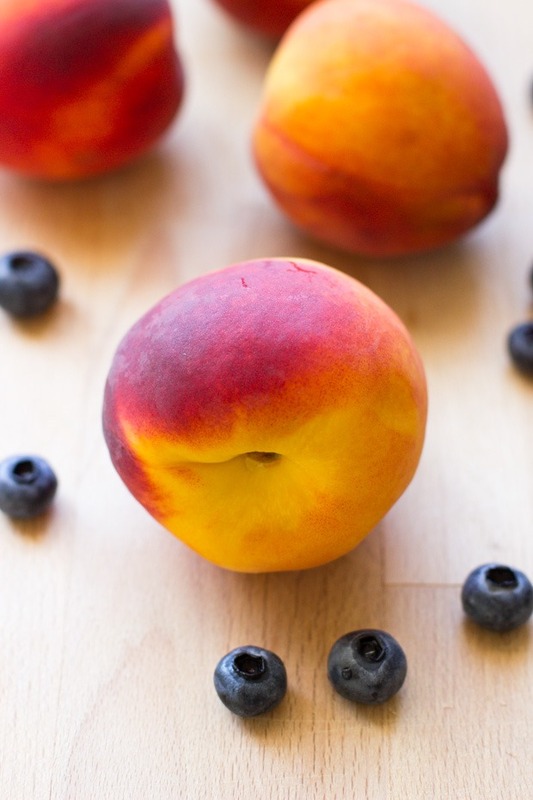 I have several blueberry and peach recipes that are gluten-free. This is not one of the best, it IS the best ever, and it is easy to make. I wonder if it is possible to vary the fruit in other seasons? I just made this last night and it was delicious! I used melted butter instead of coconut oil. I added about a tablespoon of brown sugar to the peaches, as well as the 2 tablespoons of honey. Used 1/4 cup of maple syrup in the oat mixture, instead of honey. This recipe was so so good and I’ll defintely make it again this summer! I’m so happy to hear you enjoyed it, Danielle! Thank you for the feedback! But it’s fantastic as is and honestly might have for breakfast tomorrow guilt free! For a little extra kick, I added about 20 fresh from the garden basil leaves! Yum! The addition of basil sounds incredible! Thank you for the review, Matt! So happy you enjoyed it! Thank you!